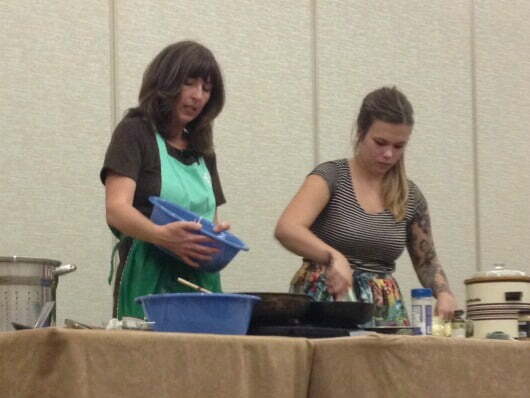 At the tail end of my first ever Wise Traditions Conference, I attended my first ever cooking class: Weston A. Price Foundation style cooking, where I learned about applying the elements of ancestral diets for nutrient dense foods. Cooking for your loved ones is a PRIVILEGE, not a chore! The opportunity to provide nourishment, contentment, and the very occasion that draws people together in an age-old daily ritual of communion with each other is truly an honor. Annie told us, “Food is the placeholder. The meal is the love.” When we prepare nourishing, irresistible meals, our family is compelled to the table. It's one of the most important ways to love your family and friends. Would you hire out someone to comfort your child or make love to your husband? Annie's jolting challenge, “Would you hire out someone to comfort your child or make love to your husband?” was met with gasps and then a wild scribbling of pens to copy it down. Her point was that the food industry has successfully convinced Americans that cooking is a burdensome chore that should be handed over to THEM, because they care so much, right? The result being that for the first time in history, the bulk of a society's meals have been prefabricated by a profit-driven industrial machine, and we've lost touch with not only the sources of our food, but also the dietary wisdom of our ancestors in preparing nutrient dense foods. That wisdom is surprisingly consistent among pre-industrial, isolated people groups the globe over, as revealed in the pioneering research of Dr. Weston A. 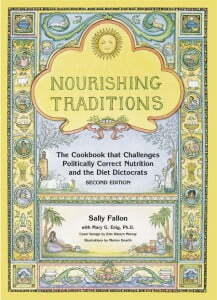 Price, recorded in Nutrition and Physical Degeneration, and applied to modern cooking in Sally Fallon's Nourishing Traditions cookbook. How is that wisdom different from modern food values? 1. Grease. Yep, good ol' traditional, nutrient-dense fat, mostly from animal origin: butter, lard, tallow, and poultry fat from pastured animals (click those links for where to find those superfoods), as well as coconut and palm oils in some cultures. These traditional fats provide vital saturated fat, cholesterol, fat-soluble vitamins A, D, and K2, immune-enhancing fatty acids, flavor and satiety. Without fats accompanying our vegetables we cannot absorb the fat soluble vitamins or convert beta carotene into vitamin A. Animal fats help fight infections and degenerative disease. Indigenous cultures who prioritized butter as a sacred food in their diets avoided both dental caries and calcification in the wrong places (arteries and joints). The traditional diets Dr. Price studied derived between 30-80% of their calories from fat, mostly saturated and monounsaturated from animal origin. 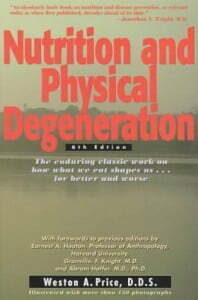 You can read a summary of traditional diets here. Or if you're still not convinced, read more about these healthy fats here. 2. Guts. Organs and Offal. Offal literally means to “fall off”. It encompasses the connective tissue that holds all the parts together–organs are a subset category of offal. Our ancestors ate from “nose to tail” and those very parts we Americans have lost our taste for were actually revered as sacred. Now we know that those parts provide many times the nutrients contained in muscle meats! 3. Bones. Traditional cooking means buying meat on the bone, and then using those bones to make nourishing, healing broth. There is a reason broth and “jello” are traditionally the first foods fed to recovering surgical patients. The marrow is also an extremely nutrient-dense sacred food. French cuisine is built on the stock pot, which also makes the best gift for newlyweds! 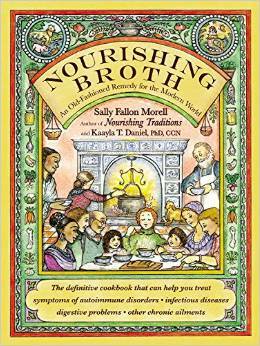 Nourishing Broth, already considered “The Broth Bible”, goes into great detail on the science and history of broth and includes a ton of recipes for using it. 4. Grass. Raw animal food has attributes that are lacking in cooked animal foods such as enzymes and fragile water soluble vitamins, but raw animal foods (eggs, dairy, and even meat, with the exception of pork) are only safe to consume if sourced from animals raised on grass. (If you don't have a local source for pastured meats, find safe, healthy meat online here.) This principle applies to seafood as well. Wild caught fish from clean waters is equivalent to pasture-raised animals. Never eat farmed fish raw. On that note, Omega 3s are not only found in seafood. Pastured animal foods are quite high in Omega 3s, with the right ratio of Omega 3 to Omega 6 which protects against inflammation. 6. Pickles. Fermenting and culturing are traditional ways of preserving plant and animal foods, maximizing the vitamins and enzymes they contain and making the nutrition more bioavailable. Both cooking and fermenting break down cellulose and release the nutrients contained within plant foods. Consider this: for every mouthful of food, cows chew and regurgitate 200 times to thoroughly break down and ferment their diet of 100% raw vegetables. Ruminant animals have several stomach chambers that are specially equipped with enzymes and bacteria to break down cellulose and release the nutrients contained in raw plants. Since humans have only one stomach chamber and we don't chew cud, fermenting is an important method of rendering raw plant foods more digestible and the nutrients bioavailable. 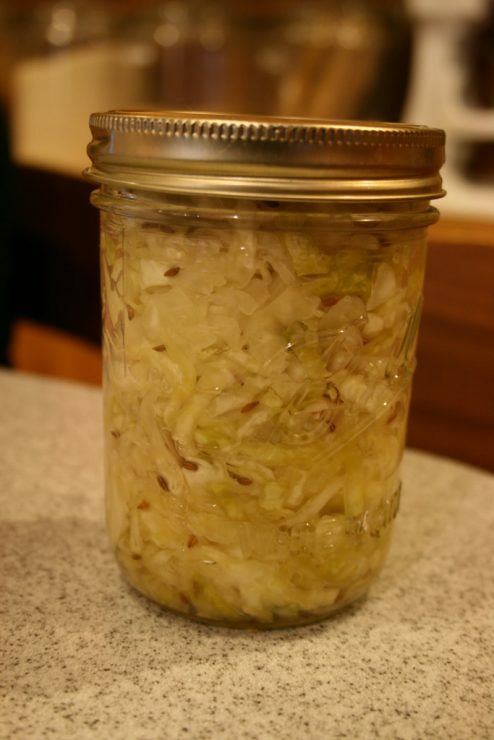 Of course, fermented foods are an important source of beneficial bacteria as well. This said, Annie does not discourage eating raw plant foods, but pointed out that in nature such foods are only available seasonally–think tender spring greens–suggesting that there is a time and place for everything. In general, plant foods are cleansers and animal foods are feeders. We need both. So how do you bring together these nutrient dense foods containing grease, guts, bones, grass, shoots, and pickles into a meal that your family will love? Click here for all the recipes and an entertaining account of their nutty weekend at the conference! Homemade Mayonnaise that tastes great! You might notice there are no menu items representing “shoots”, but Annie planned the class around the dietary needs of those on grain-free diets (many attendees of the conference were grain-free or on the GAPS diet for healing). 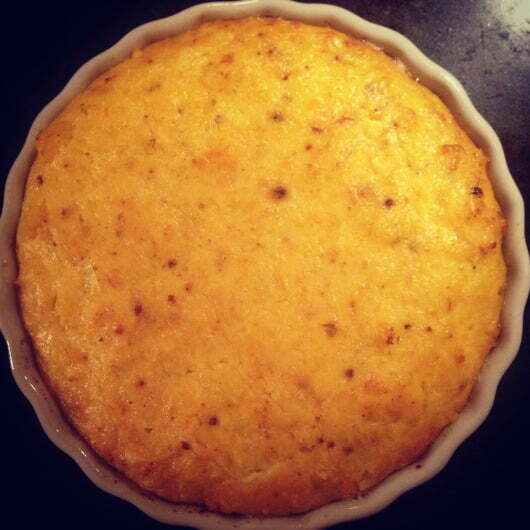 *An additional note on the Roasted Cauliflower and Parmesan Puree/Bake: The optional addition of a couple eggs will enrich and add body to the texture of this dish. You could also separate the whites from the yolks, mixing the yolks in with the puree and then folding in whipped egg whites just before pouring into your baking dish for a soufflé effect. I have made this dish three times now, once with full-fat yogurt when I was out of sour cream, and always with added garlic, and each time it was incredible (and devoured completely)! Unfortunately, I had to leave the class about a hour early to catch my plane so I didn't get to taste the entire menu, but I did try the eggnog ice cream and I can tell you with certainty that it was the most dreamy, rich and creamy ice cream I have ever tasted, and that the wonderful smells of everything else cooking haunted me for the rest of the day! Stay tuned for Part 2, with more great nutritional information and cooking tips, including how to make a reduction sauce that takes everyday meals to a five-star level. 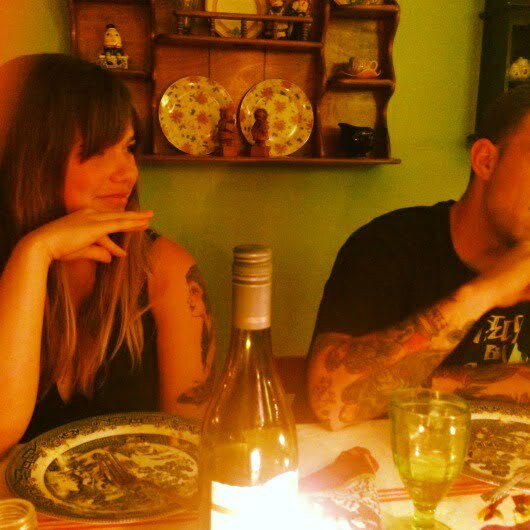 First, I have to say that loving your family and friends through food is a precious gift that I learned from my Mom. She was the master at this and constantly had people over to feed them or took meals around town. Also, while it's important to cook real nutrient dense foods for those we love, and not processed, boxed, factory, or fast foods, that doesn't mean that we can't have a little help with it! These days we're so blessed to have services like Real Plans Meal Plans that make it easier on us real foodies — so we can cook traditionally while utilizing modern technology! It's very affordable, interactive, and convenient, to make kitchen time easier and faster. It also includes and app so you know what you need at the grocery store and can see your meal plan laid out for you. Click here to learn more. Kel, I tried to get the recipes, esp. the roasted cauliflower purée but it said the page wasn’t available . Oh darn! She may have made some changes to her website. To make this doable, I make really simple meals and buy real food ingredients when I can, such as Fab Ferments organic raw sauerkraut. And just for anyone out there more like ME, than Pinterest mom or Martha Stewart…..I believe this and IT IS NOT EASY for me. On a daily basis! I am trying to get better, but you’d think at this point in my life, I’d be a pro of some sort. Only my intentions are professional level! I can serve clean food, but it is usually quite simple (apples and raw pb, anyone?). I just wish I had more training and could pass more of these needed SKILLS (not just the eating habits) to my chidlren. Working on it, but always looking for ideas and help! Rebecca Urbanczyk, I love the honesty of your comment and I totally agree with you that because of this shift in our culture, we need to re-learn the basics of preparing meals from scratch. My suggestion is to start with only one simple meal, even just scrambled eggs, toast made with sourdough bread (no dough conditioners or preservatives), real butter, and some spinach or other vegetable cooked in butter on the side. That is a nourishing meal right there! Suzanne Gross and Sally Fallon have written a real food cookbook for kids, which is talked about in this post: https://kellythekitchenkop.com/teaching-kids-to-cook/ It’s not a “dumbed down” cookbook, but just a real food cookbook on a very basic level, which might be a great resource to start with. 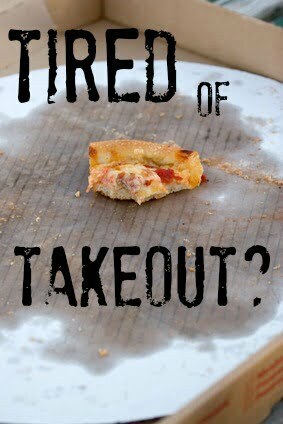 I heard somewhere that most people rotate between 10 meals. If you can learn to prepare 10 dishes, you have enough to not get too tired of any one of them. Maybe make it a goal to learn one new dish/meal per week. Baby steps. Thanks for that, esp the link. I’ll check it out. I’ve got just about that many meals in regular rotation. I just don’t feel as though I will ever “know how to cook” instead of able to follow recipes. I use the good fats, and as much fruits and veggies as possible (lots of romaine, my children will eat it!). I got a breadmaker years ago when I was convinced I needed to know the ingredients going into our food. That was one change that worked well. Now my children love it and also don’t eat too much bread or consume too much milk (we had raw for a while). My hope this summer was to do exactly what you said: try one new recipe each week – and have the kids fix it! Not a total success, but we will try try again. You are absolutely right! I am the cook in my house, which on most days, I am perfectly fine with. However, I don’t like the clean up afterwards!? People do hire someone for their kids; child care is big business. The other stuff maybe still on the table for debate. Wow. That’s an effective shift in perspective. I have been trying to convince myself that cooking is a privilege, not a chore. Still trying, still not working lol! As one who just spent time in the hospital fighting with the “nutrition experts” there, let me say, that hospitals no longer use real bone broth for their patients – it’s bullion cubes now, which are nothing but chemicals. As for the jello – didn’t eat that because, as a diabetic, I can not tolerate the sugar in it. If you look at the ingredient list of these “jellos” it’s pretty much water, sugar, a little flavor, and even less gelatin. Crazy! I have been home from the hospital 2 weeks now, and am only now getting my blood glucose back down to under 100 consistently, all due to eating real food rather than processed, and enjoying the actual process of creating a meal. YaY for the lady who is working to get people away from processed “foods”. After my first heart attack one nutritionist told me to remember that: “the less time it takes to get from the box to the table, the worse it is for you.” Good advice, just wish I had gotten it in my 20’s not my late 50’s when the damage had already been done. I love this!! It is so spot on…of course food prep is nurturing and loving! I hate that the great marketing machine glorifies junk food as a treat that makes it magic somehow. I like to cook for my family. Extra inspiriration/encouragement is always a gift. As always thank you Kelly for bringing that to the day. Thank you Jill. I enjoyed reading your article a great deal.